Coke spiked with aromatic spirits of ammonia was once used to treat everything from hangovers to indigestion. In the late 19th and early 20th centuries, the drugstore and the soda fountain were not only intertwined, but often one and the same. Pharmacists were masters of tinctures and tonics, many of which became popular refreshments with curative promises across the United States. And though people are still familiar with the fizzy stomach-salve that is ginger ale, only the rare senior citizen tends to bring up the once-popular concoction known as ammoniated Coca-Cola. Many also used the pairing to alleviate indigestion. The medicinal spirits were said to bring down the soda’s effervescence and neutralize its acidity, making for a sweet, soothing drink with an enlivening bouquet. And it was quite enlivening: While there’s little evidence backing up most of the health claims surrounding aromatic spirits of ammonia, they do hold a place in the modern medicine cabinet as smelling salts. Whether or not the pairing was a placebo, ammoniated Coke’s role as a tool in the nation’s pervasive “dyspepsia” remains a nostalgic bookmark for those who still remember the old-school druggist and their flowing fountains. 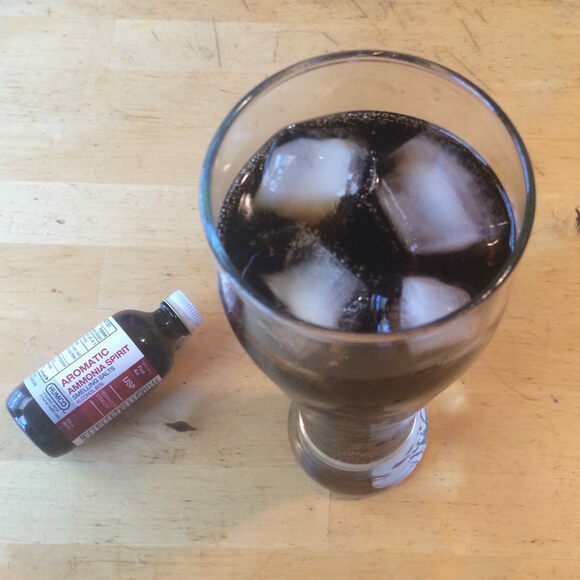 Recipes for this drink use mere drops or less than a teaspoon of the spirits mixed into a full 8-ounce glass of Coca-Cola. Aromatic spirits of ammonia can be potent and dangerous if consumed carelessly. Proceed with caution. For those interested in trying the cocktail, pharmacies still sell aromatic ammonia spirits in the first aid section. Beer meets soda in this refreshing Estonian brew. Birmingham's sinus-clearing soda was a popular way to enhance bootlegged hooch during Prohibition. South Jersey's signature syrup has been flavoring sodas and shakes for more than a century.